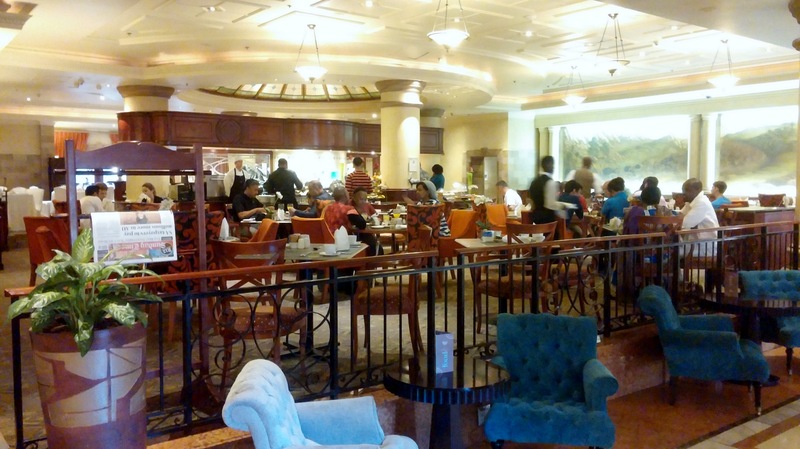 A quick trip to Pretoria, South Africa on rapidly devaluing delta skymiles and a stay at the Sheraton Pretoria Hotel. 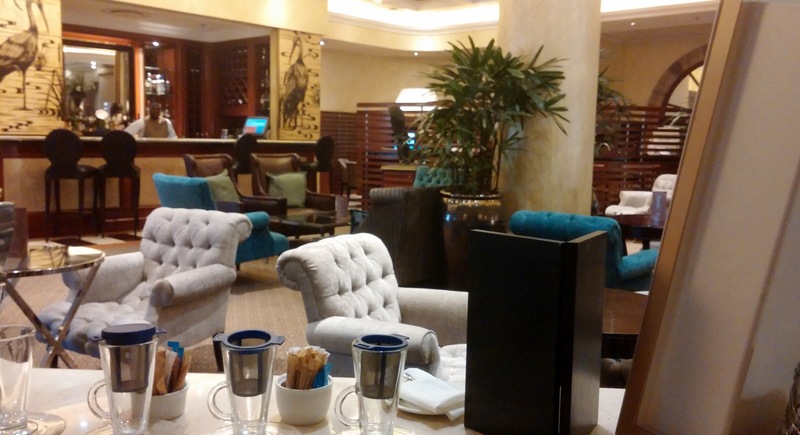 I will also get to try some new airport lounges courtesy of the Priority Pass access benefit from a new Citi card. On the way back I will get to fly a 787 and land at London Heathrow (LHR) for the first time. I had booked this trip from Raleigh-Durham (RDU) for 80,000 skymiles since I could not get a low fare in miles from Charlotte (CLT). While driving back from my return to RDU for the Panama trip, I noticed a crack in the lower left-hand windshield. The crack kept growing slowly, and by the time I was back home it was about 10 inches long. I thought it would be a simple repair, but I could not get it done in the two days I had before this trip. I did not want to drive back to RDU with the windshield in that condition, so I had prepared to rent a car for the drive to RDU. The morning of departure, I took a gamble and called the delta diamond medallion line. I explained the windshield problem, and asked (pleaded) to see if the departure and return could be made from CLT without incurring huge change fees. To my surprise, the agent and a supervisor were able to do this for me without any fees whatsoever! 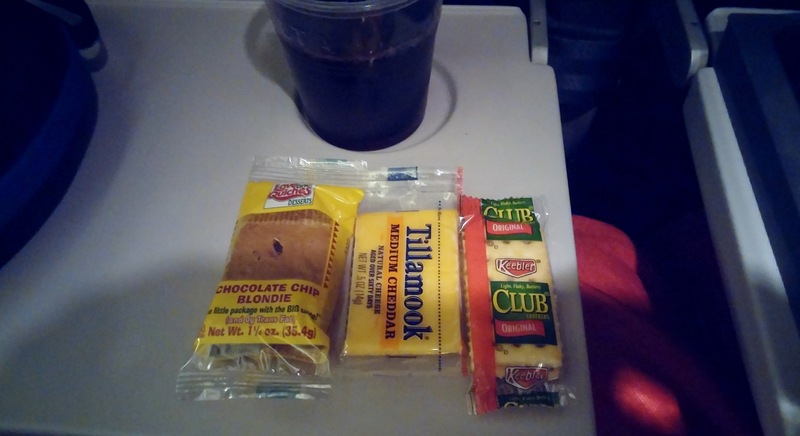 I do not like many of the things delta has done to me with changes in the ff program, but as a diamond medallion, it often bends the rules to accommodate unusual circumstances like this. It saved 0ver $200 in rental and gas and 30,000 additional skymiles. Getting to Pretoria was fairly straight forward. — flying CLT-ATL-JNB and then taking the Gautrain to Pretoria. When my ticket was changed delta gave an immediate upgrade fro the 36-minute CLT-ATL flight. It was an older 757 with no personal video or power ports. The flight was on time and uneventful. Unfortunately, I had about six hours to kill in ATL before the JNB flight. The layover was a perfect opportunity to try the Club at ATL, a new airport lounge in the international terminal, Terminal F. This club is located one level up from the concourse level and is across from the Delta skyclub and next to the Terminal F food court. The club at ATL provides comfortable seating, wifi, showers and a selection of snacks, soup, salad and sandwiches and a wide variety of premium liquor, beer and wine all of which is at no charge. Unlike some Priority Pass lounges, there is no three-hour limit on staying. 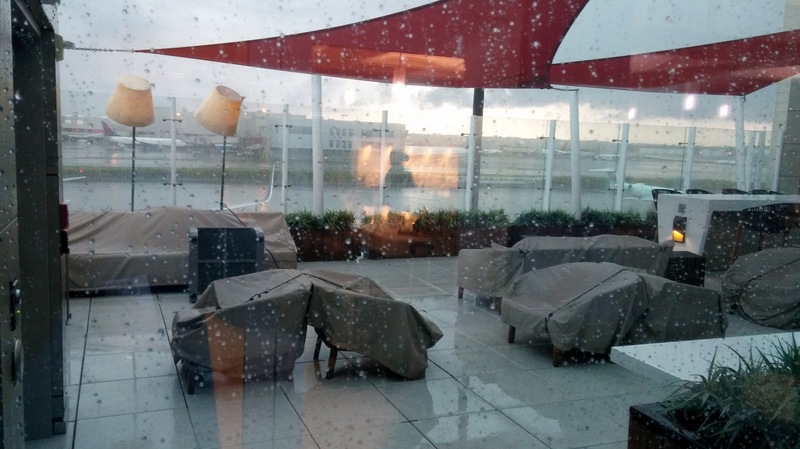 Compared to the Skyclub, the Club at ATL is superior in every respect except the Skyclub has better airport views and it can assist with Delta flight issues and The Club at ATL cannot. So spend your time in the Club at ATL and go to the Skyclub to get your Delta issues fixed. 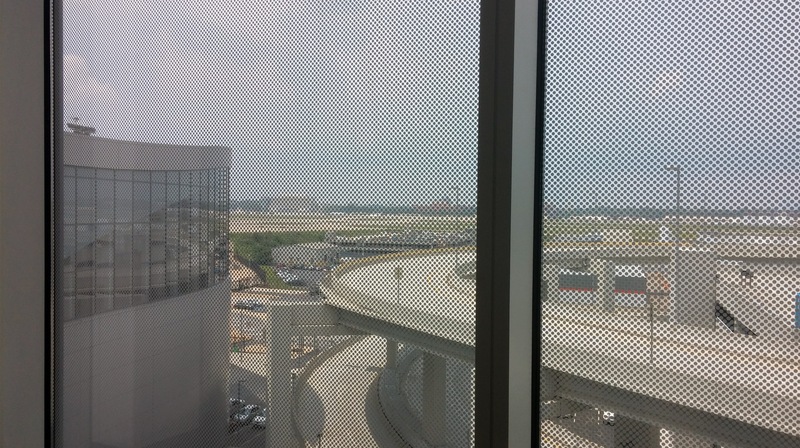 The Skyclub has a better airport view. The Club at ATL also has a great wait staff. They keep the club clean and offer to refresh your drinks which does not happen in Skyclubs. The flight to JNB about 8,500 miles. It is one of the, if not the, longest airline flights in the world. Delta uses 777-200ERs on this route. Scheduled flight time is over 16 hours. I was flying economy, which has 3-3-3 seating. Standard coach seats are some of the most comfortable in Delta’s fleet with 18.5 inches in width but only 31-32 inches of seat pitch. Not much leg room if the plane is packed. 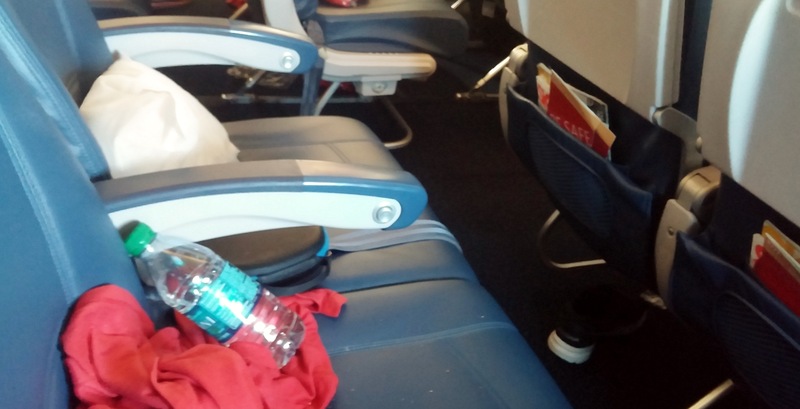 Getting a seat in Economy Comfort or Comfort + (C+) as Delta calls it now is worth the extra cost. C+ seats have the same width as regular economy but you get 35 inches of legroom. That makes a big difference on a 16-hour flight. As a Diamond Medallion, these seats are free for me. I booked this trip on rather short notice, so when I wanted to select seats, there were only a couple of C+ seats available and these were middle seats. Rather than get stuck in the middle, I selected a regular economy aisle seat farther back in the cabin where it looked like I might not have someone sitting next to me. 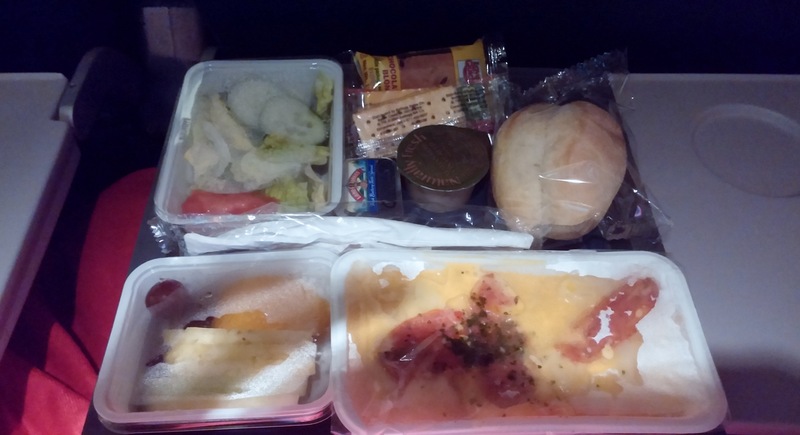 In economy you get the same food and drinks as in C+; the only difference is the legroom and getting on and off the plane earlier with C+. If no one is sitting next to me, I can spread out more and legroom is not an issue. As it turned out, there was no one in my row and I had three seats to myself. It was a lie-flat (almost) economy seat. To increase the chances of getting a row all to your self or at least with an empty seat next to your, select a seat farther back in the aircraft as the seats toward the front fill up first. The lack of legroom was not a problem. My seat was in row 35. On the 777-200 this row does not have a window. It is possible to look out of the windows in front and behind the row. The advantage is having a flat spot on the wall to rest your head with a pillow. 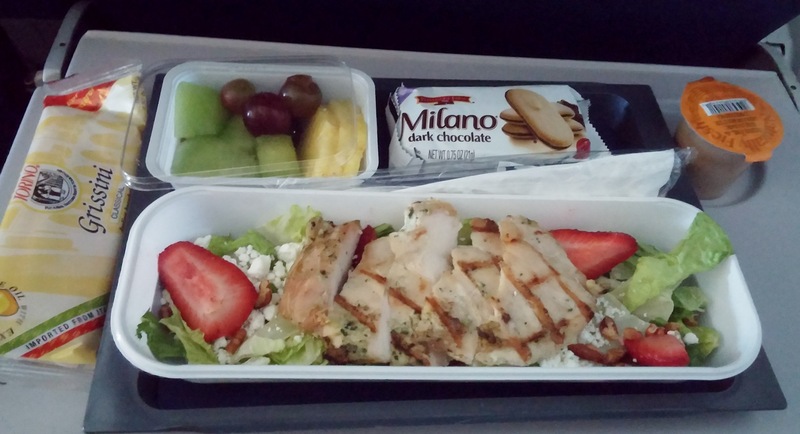 The food on Delta’s international flights is good in quality and quantity. Even though I was able to stretch out, it was a long 16 hours. I watched a couple of movies to help pass the time and managed to get five or six hours of sleep. Soon enough we were landing at JNB. The Gautrain makes getting from O.R. Tambo airport (JNB) to Pretoria is very easy. It costs 138 Rand or just over $11 for the train versus paying at least $50 for a 45-minute taxi ride. To really save money (but not time) I could have taken a very short bus ride to Rhodesfield Station, which is the Gautrain station about 1km from the airport. The fare is much cheaper from there as the local authorities are out to gouge tourists and those travelling to the airport rather than the local population. To get to the Sheraton Pretoria hotel, I took the Gautrain to the last stop, Hatfield, which is the stop after Pretoria. Then it was a short taxi ride ($7) to the hotel. 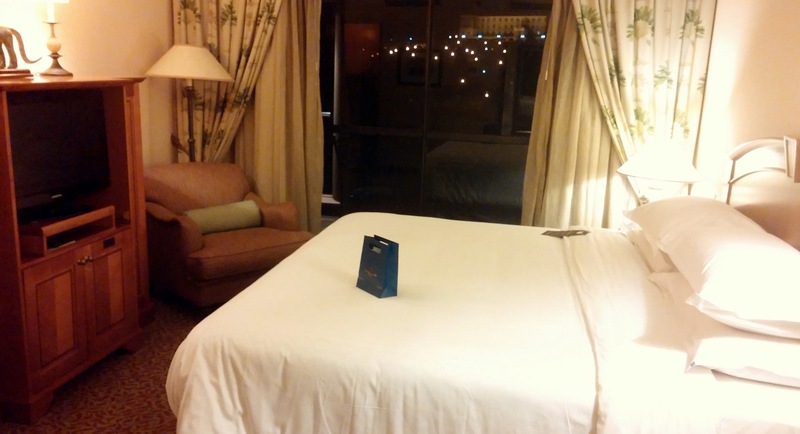 Upon checking in, the agent told me this was my 100th stay at a Sheraton Hotel. I had no idea that Sheraton tracked that. I know I have spent more than 500 nights in Starwood properties since 1999. That and 10 years of meeting the threshold for annual Platinum status qualifies me for lifetime SPG Platinum status. 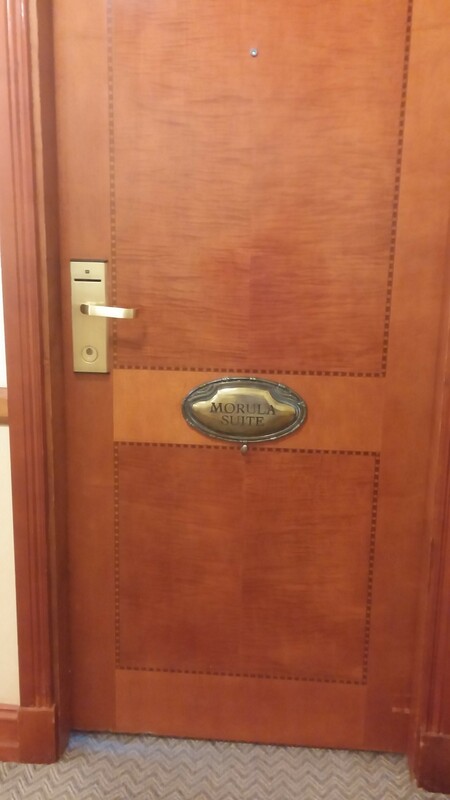 The agent said he was upgrading me to a suite to commemorate this “historic” stay. 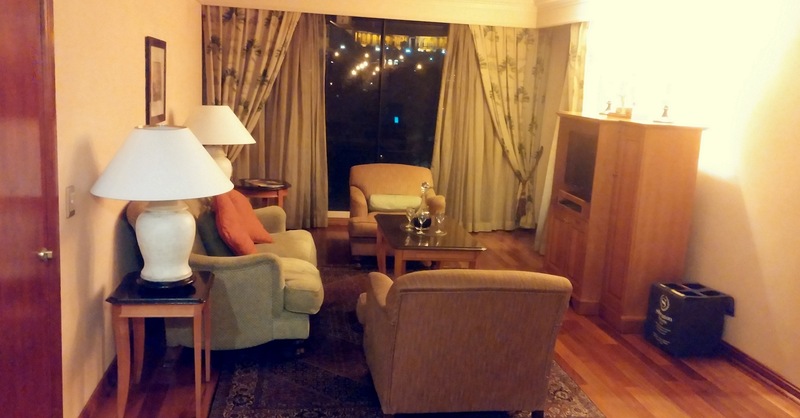 Even without history on my side, I have always been upgraded at this hotel to a nice suite or at least the club-level rooms just for my Platinum status. 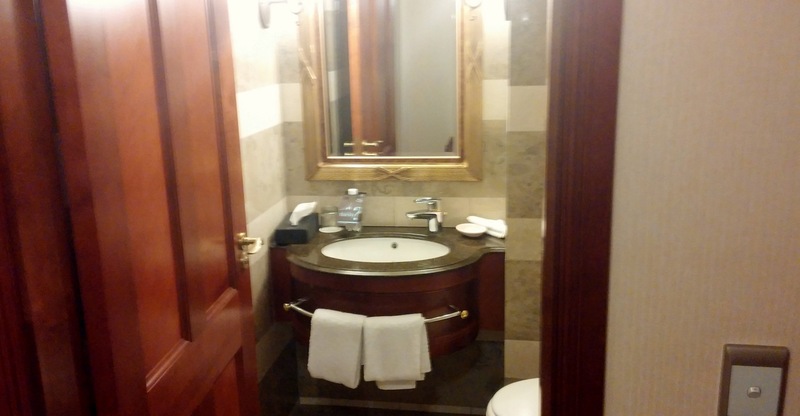 The suite upgrade in this case was sweet indeed… living room, bedroom with balcony, bath and a half, and two desk areas, one for working and the other for changing/makeup. 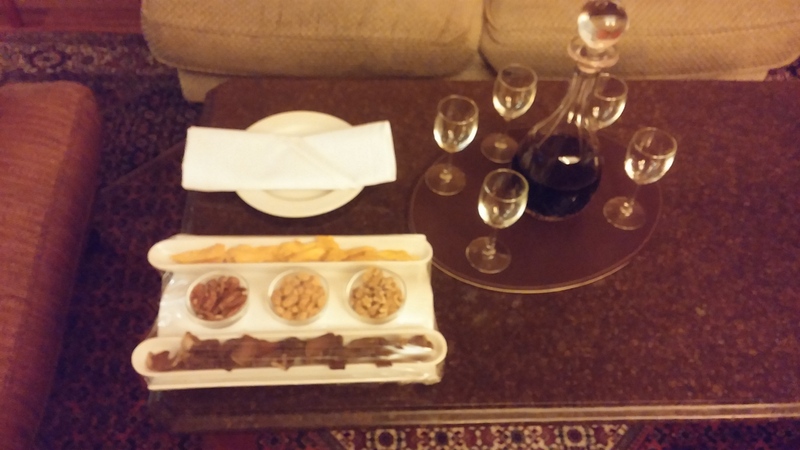 There was a minibar under the TV in the living room and bedroom. Each one was stocked with soft drinks, beer and snacks. Amazingly, everything in the minibars was free, and they were restocked daily! The hotel even brought another carafe of wine after I finished the first one. 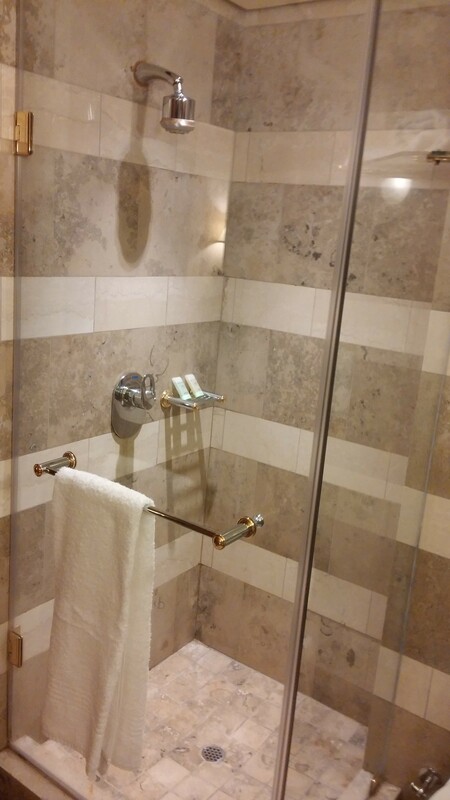 The bathroom was not huge, but it had all the amenities including separate shower and tub, shaving mirror, and was stocked with premium toiletries. Additional goodies were in a gift bag on the bed. 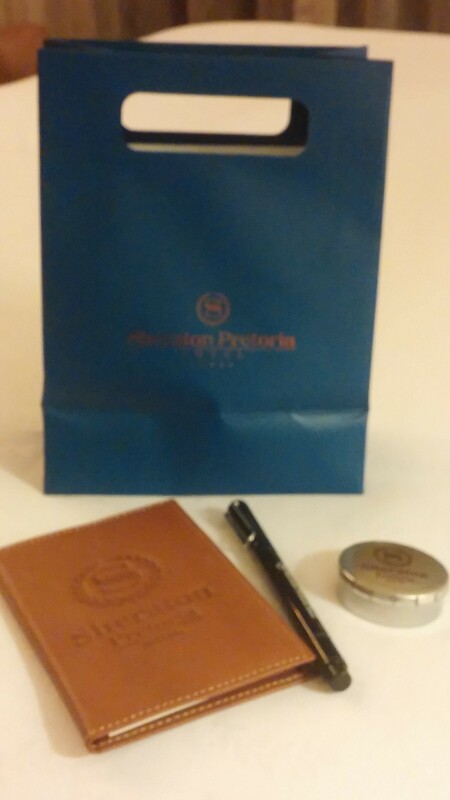 The Sheraton Pretoria Hotel offers maybe the best benefits for SPG Platinum members of any Starwood hotel I have stayed at. 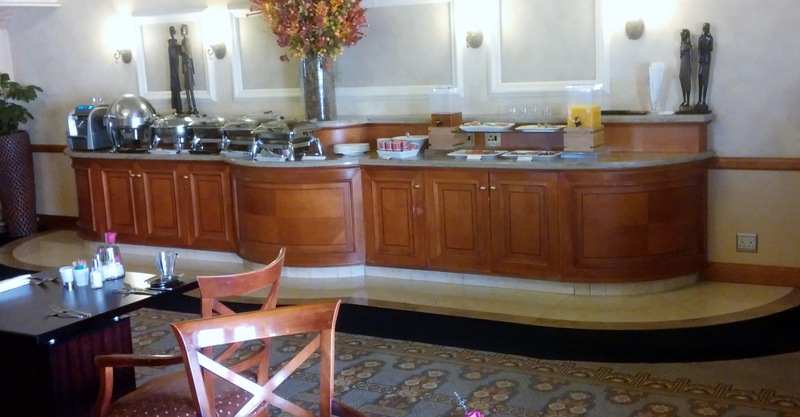 In addition to the great room and amenities described above, I also received daily complementary full breakfast. 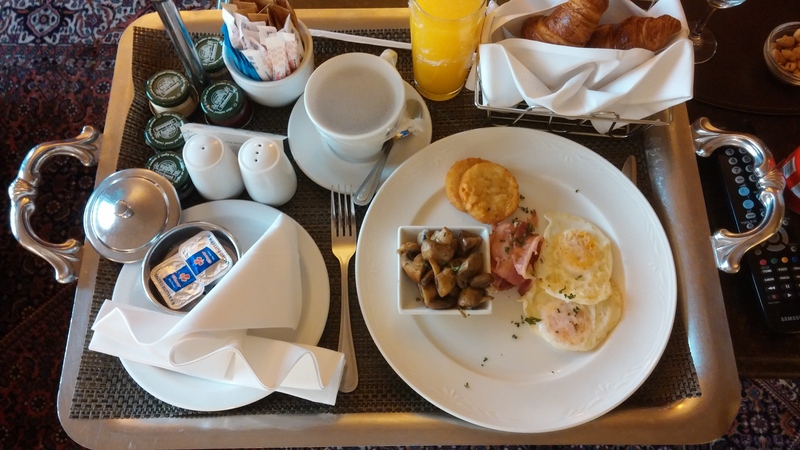 While that is normal for hotels outside the U.S., here the free breakfast included room service! I took advantage of this a couple of times. 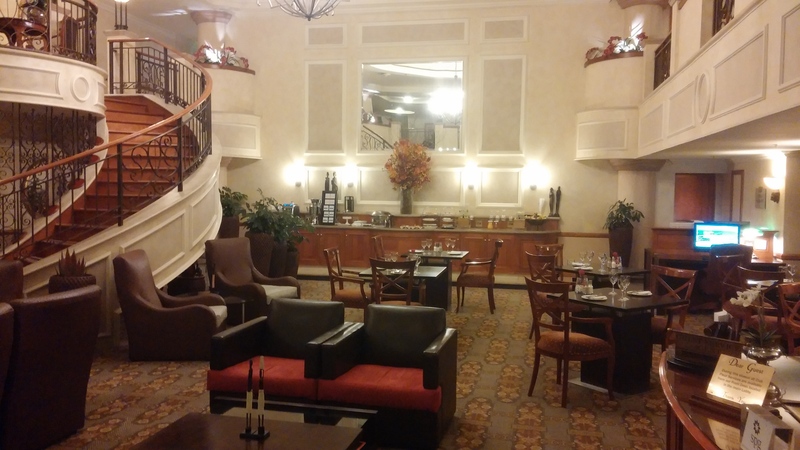 I could also have breakfast in the club lounge or in the restaurant on the first floor. 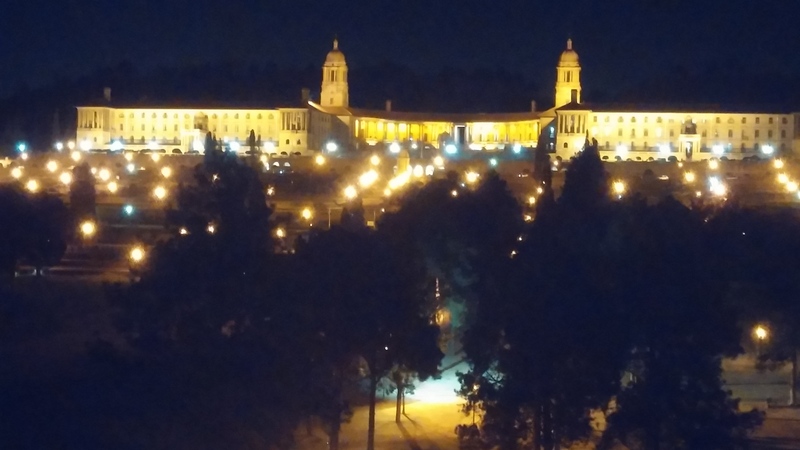 The Sheraton Pretoria hotel is located across the park from Parliament and just up the street from the President’s residence. 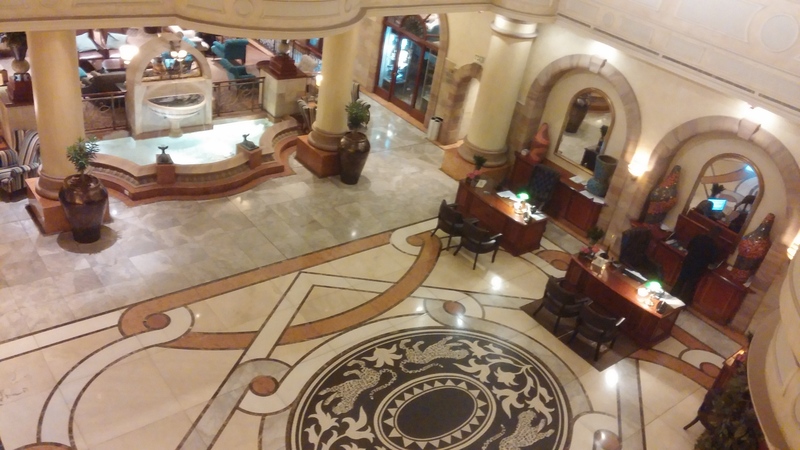 I think it must be one of the nicest hotels in Pretoria as there are usually many officials and businessmen staying here. The Club Lounge serves a very nice cocktail hour with hot appetizers, finger food and deserts as well as alcoholic beverages. Between the free breakfast and evening happy hour, I don’t need to pay for any meals. 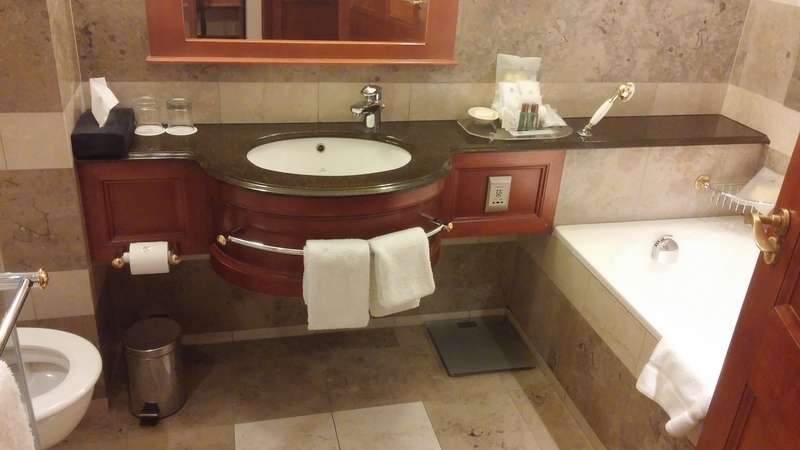 The hotel has a very nice spa. The fitness center is adequate, but could use more up to date equipment. The spa masseuse must be very good. She says she is often requested to give massages to the President and his wife. On previous trips to Pretoria, I have taken a one-day safari to Pilanesburg National Park and visited the adjacent Sun City complex. The national park has all of the big five – lions, elephants, rhinos, giraffe and hippos. Sun City has hotels, golf, casinos and shopping and dining. Pilanesburg and Sun City are just a couple of hours drive from Pretoria. 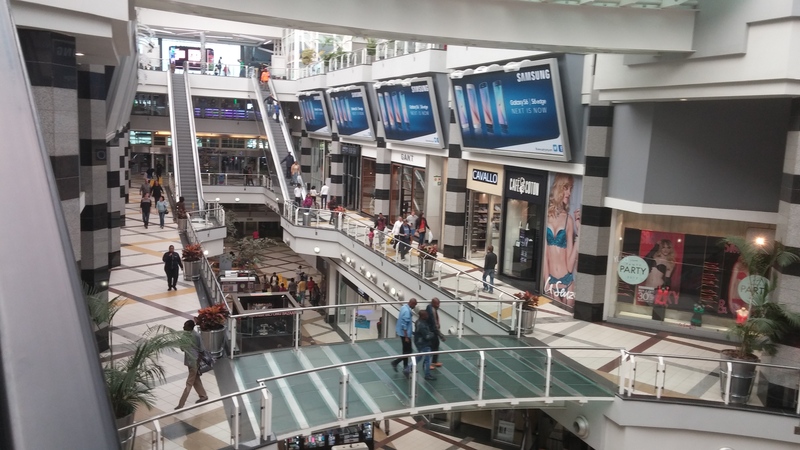 On this trip I stayed in Pretoria and visited Menlyn Mall and walked to a shopping district near the hotel. Menlyn Mall is about a 10-15 minute taxie ride from the Sheraton. The fare was 120 Rand or about $10 each way. I caught Jurassic World there at the multiplex cinema on its opening weekend. I liked the movie but never suspected it would do so well in the U.S. and worldwide. 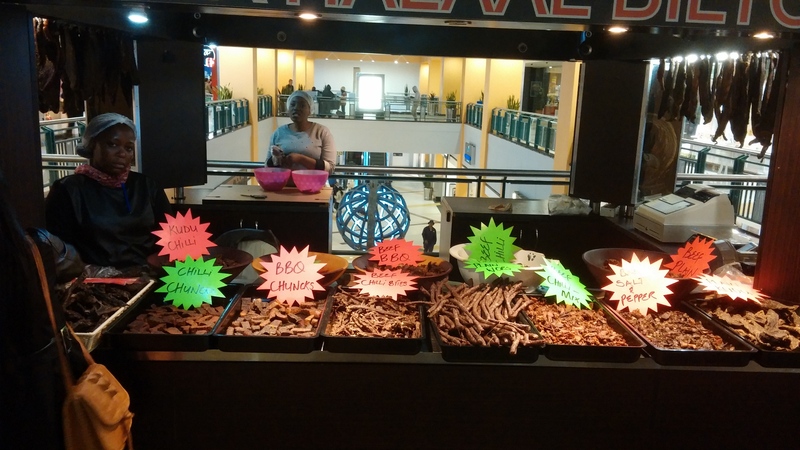 This mall is like every other big mall but one difference was that there was a stand selling dried meat. I purchased some Kudu and Springbok, which are two species of antelope that roam the ranges of the South African national parks. I took it back to the hotel. They are tasty and have the consistency of beef jerky. On Sunday I took a 10-minute walk from the hotel to a commercial and shopping district. It was a very nice day for mid winter in Pretoria. Temperatures were near 70. The week before temperatures were in the 50s. That is winter parka weather for South Africans. It was a very pleasant walk. On Sunday, however, the stores in this area all closed about 1 pm. In the next post, I will cover the return trip on Virgin Atlantic and the lounge at Heathrow.